It’s an exciting time to work with electronics. If you’re an engineer, there are opportunities to develop products as new technologies intersect and trends such as the Internet of Things (IoT) and wearables open up new possibilities. This intersection also challenges engineers to be multi-disciplinary in their understanding of electronics, covering everything from memory and storage, to network and communications, to power supplies and batteries. While the internet is resplendent with all sorts of resources for the knowledge-hungry engineer, it’s easy to fall down a Google-search rabbit hole that leads deep into an aging message board. It’s easy to end up on a wild goose chase of stale links to outdated content. This post brought to you by Arrow.com. The Arrow.com site is simple but expansive, pulling together resources on a wide array of components so that users spend more time doing than searching. Arrow.com solves that problem by reducing the time engineers spend searching for information on their specific areas of interest. They do so by corralling together information on electronics across disciplines and where they intersect. From a straightforward product perspective, Arrow.com is a repository of more than one million products, all searchable by keyword. Updated daily, it’s a treasure trove of everything from amplifiers, audio components and capacitors to transceivers, wires and cables. Drill deeper into product categories to find the specific component you’re looking for with detailed specifications with clear options on how to purchase that item. If you already have item or aren’t sure you will need it, you can access a hoard of data sheets across product categories, as well a complete reference designs, which you can browse by application, end product or manufacturer. An added bonus: nearly a quarter of the designs on Arrow.com are interactive. The site is not just about offering a great deal of static information about electronics – it’s also about providing insight and guidance for best practices so engineers can get the most from the datasheets and reference designs that are available to them. Arrow.com also offers a wealth of articles, compiled by a team of experts who work in the everyday trenches of engineering. They don’t stop at covering the products and components listed on the site at a high level; they also provide insight into how to better incorporate them into your designs. 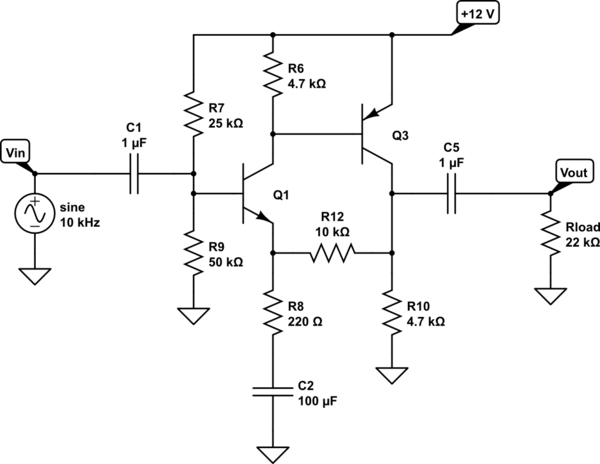 Articles cover issues around power, such as how to battery-power your Pi (by highlighting three ways to get around your precise 5V requirements), how to protect your system when lightening strikes or why you need power factor correction. If you’re into the hot area of IoT, you can learn about the inner workings of BAC sensors, industrial connectivity protocols or the relationship between AVX and IoT devices. Explore technology in sports or see how you do at Arrow Tech Trivia. And if you’re more of a visual learner, Arrow.com has you covered with a library of videos that include specific product insights, broad overviews and lab demos. March 11, 2015. Photo by Ellen Jaskol. One segment that’s seeing even more electronics use is automotive. Cars are getting smarter, both in terms of the dashboard systems for the driver and throughout the vehicle. 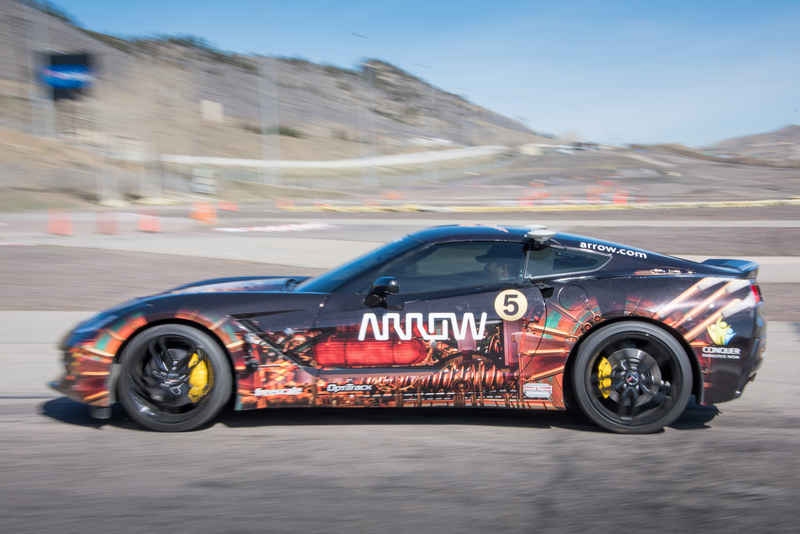 If you’re looking to build a better motor, Arrow has you covered. And it can give you some ideas that you may not have considered for innovative projects. Arrow.com’s IoT experts recently collaborated on modifying a car so that it can be controlled by head movements alone. Arrow.com’s site is not just about imparting information. The Design Center offers tools to accelerate your design cycle. For example, the Arrow enVision tool helps engineers who want a simple block diagram or a full reference design, while the cloud-based Lighting Designer lets you design a complete LED lighting system in minutes. You can also find a specialist to help you out by connecting with one of nearly 200 engineers via the site. While sometimes it’s fun to get lost clicking through sites to find resources to help you solve an electronics conundrum or discover a new way of doing something, deadlines mean it’s good to have a reliable online resource at your fingertips. Arrow’s easily navigable site pulls together a wide range of electronics information that makes it a first choice for engineers. Ericsson recently announced the availability of the PIM4610PD power interface module (PIM), which simplifies low-EMI design in Advanced Telecom Computing Architecture (ATCA) applications. An extension of Ericsson’s 3E* PIM family, the new PIM4610PD has been optimized to simplify design in blade server-applications based on ATCA and PICMG 3.7 systems. The PIM4610PD starts at $72 for OEM quantities. u-blox new SARA-N2 Narrowband IoT (NB-IoT) module is a cellular radio module compliant to the 3GPP Release 13, Narrowband IoT (LTE Cat. NB1) standard. Intended for a wide variety of IoT applications (e.g., smart buildings and cities, utilities metering, and asset tracking), the compact (16 mm × 26 mm) SARA-N2 module will operate for up to 20 years from a single-cell primary battery. With a 20-dB link budget improvement over GPRS, the module delivers high performance under poor coverage conditions (e.g., underground or inside a building). Simultaneous support for three RF bands so you can use the same module in most geographic regions. 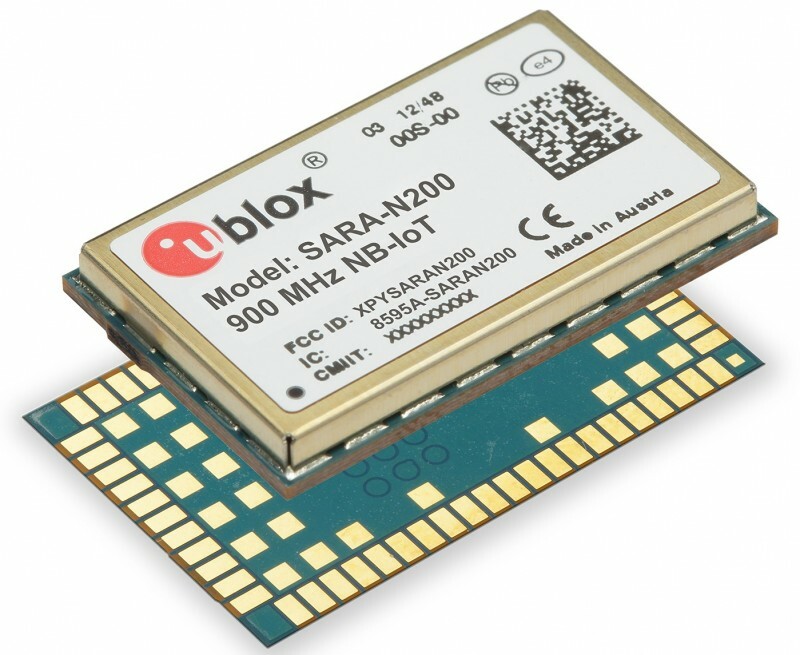 Samples of the SARA-N2 NB-IoT module are scheduled to be available in Q4 2016. Modern workloads demand higher computational capabilities at low power consumption and cost. As traditional multi-core machines do not meet the growing computing requirements, architects are exploring alternative approaches. One solution is hardware specialization in the form of application specific integrated circuits (ASICs) to perform tasks at higher performance and lower power than software implementations. The cost of developing custom ASICs, however, remains high. Reconfigurable computing fabrics, such as field-programmable gate arrays (FPGAs), offer a promising alternative to custom ASICs. FPGAs couple the benefits of hardware acceleration with flexibility and lower cost. FPGA-based reconfigurable computing has recently taken the spotlight in academia and industry as evidenced by Intel’s high-profile acquisition of Altera and Microsoft’s recent announcement to deploy thousands of FPGAs to speed up Bing search. In the coming years, we should expect to see hardware/software co-designed systems supported by reconfigurable computing to become common. Conventional RTL design methodologies, however, cannot productively manage the growing complexity of algorithms we wish to accelerate using FPGAs. Consequently, FPGA programmability is a major challenge that must be addressed both technologically by leveraging high-level software abstractions (e.g., language and compilers), run-time analysis tools, and readily available libraries and benchmarks, as well as scholastically through the education of rising hardware/software engineers. Recent efforts related to software-programmable FPGAs have focused on designing high-level synthesis (HLS) compilers. Inspired by classical C-to-gates tools, HLS compilers automatically transform programs written in traditional untimed software languages to timed hardware descriptions. State-of-the-art HLS tools include Xilinx’s Vivado HLS (C/C++) and SDAccel (OpenCL) as well as Altera’s OpenCL SDK. Although HLS is effective at translating C/C++ or OpenCL programs to RTL hardware, compilers are only a part of the story in realizing truly software-programmable FPGAs. Efficient memory management is central to software development. Unfortunately, unlike traditional software programming, current FPGA design flows require application-specific memories to sustain high performance hardware accelerators. Features such as dynamic memory allocation, pointer chasing, complex data structures, and irregular memory access patterns are also ill-supported by FPGAs. In lieu of basic software memory abstractions techniques, experts must design custom hardware memories. Instead, more extensible software memory abstractions would facilitate software-programmability of FPGAs. In addition to high-level programming and memory abstractions, run-time analysis tools such as debuggers and profilers are essential to software programming. Hardware debuggers and profilers in the form of hardware/co-simulation tools, however, are not ready for tackling exascale systems. In fact, one of the biggest barriers to realizing software-programmable FPGAs are the hours, even days, it takes to generate bitstreams and run hardware/software co-simulators. Lengthy compilation and simulation times cause debugging and profiling to consume the majority of FPGA development cycles and deter agile software development practices. The effect is compounded when FPGAs are integrated into heterogeneous systems with CPUs and GPUs over complex memory hierarchies. New tools, following architectural simulators, may aid in rapidly gathering performance, power, and area utilization statistics for FPGAs in heterogeneous systems. Another solution to long compilation and simulation times is using overlay architectures. Overlay architectures mask the FPGA’s bit-level configurability with a fixed network of simple processing nodes. The fixed hardware in overlay architectures enables faster programmability at the expense of finer grained, bit-level parallelism of FPGAs. Another key facet of software programming is readily available libraries and benchmarks. Current FPGA development is marred with vendor specific IPs cores that span limited domains. As FPGAs become more software-programmable, we should expect to see more domain experts providing vendor agnostic FPGA-based libraries and benchmarks. Realistic, representative, and reproducible vendor-agnostic libraries and benchmarks will not only make FPGA development more accessible but also serve as reference solutions for developers. Finally, the future of software-programmable FPGAs lies not only in technological advancements but also in educating the next generation of hardware/software co-designing engineers. Software engineers are rarely concerned with the downstream architecture except when exercising expert optimizations. Higher-level abstractions and run-time analysis tools will improve FPGA programmability but developers will still need a working knowledge of FPGAs to design competitive hardware accelerators. 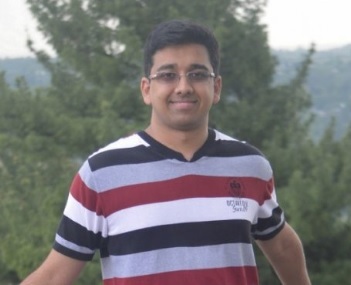 Following reference libraries and benchmarks, software engineers must become fluent with the notion of pipelining, unrolling, partitioning memory into local SRAM blocks and hardened IPs. Terms like throughout, latency, area utilization, power and cycle time will enter software engineering vernacular. Recent advances in HLS compilers have demonstrated the feasibility of software-programmable FPGAs. Now, a combination of higher-level abstractions, run-time analysis tools, libraries and benchmarks must be pioneered alongside trained hardware/software co-designing engineers to realize a cohesive software engineering infrastructure for FPGAs. COMSOL has announced the latest release of the COMSOL Multiphysics and COMSOL Server simulation software environment. With hundreds of user-driven features and enhancements, COMSOL software version 5.2a expands electrical, mechanical, fluid, and chemical design and optimization capabilities. The smoothed aggregation algebraic multigrid (SA-AMG) solver is efficient for linear elastic analysis and many other types of analyses. It is very memory conservative, making it possible to run structural assemblies with millions of degrees of freedom on a standard desktop or laptop computer. A new explicit solver based on the discontinuous Galerkin (DG) method for acoustics in the time-domain enables you to perform more realistic simulations for a given memory size than was previously possible. The complete suite of computational tools provided by COMSOL Multiphysics software and its Application Builder enables you to design and optimize your products and create apps. 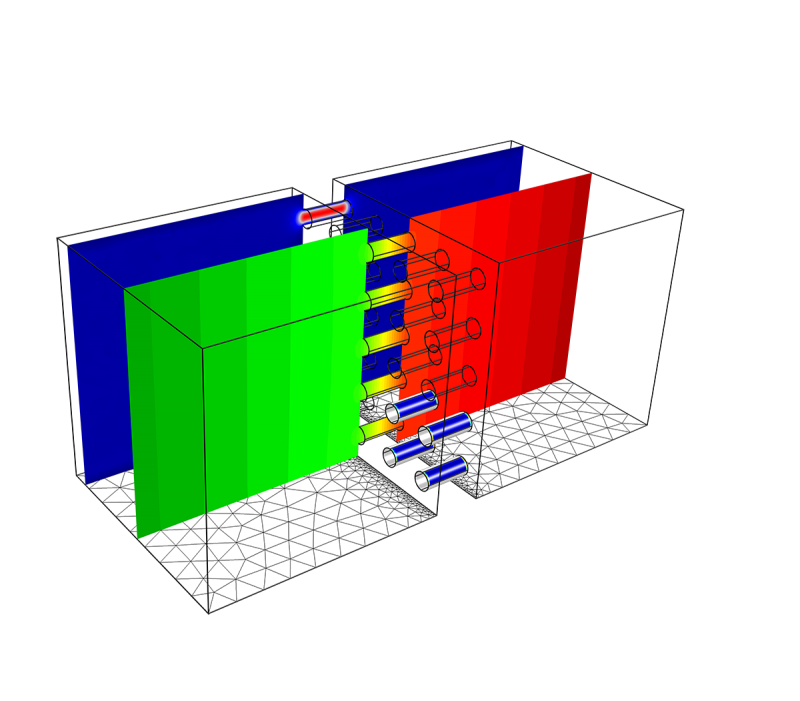 Simulation apps enable users without any previous experience using simulation software to run the apps. With version 5.2a, designers can build even more dynamic apps where the appearance of the user interface can change during run time, centralize unit handling to better serve teams working across different countries, and include hyperlinks and videos. Keysight Technologies recently released BenchVue 3.5, which is an intuitive platform for the PC that provides multiple-instrument measurement applications, data capture, and solution applications. 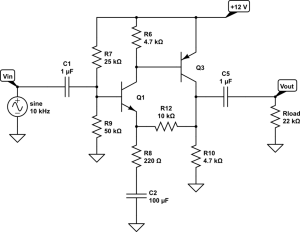 Programming or separate instrument drivers are not required. When you connect an instrument to your PC over LAN, GPIB or USB, the instrument is automatically configured for use in BenchVue. With the BenchVue Test Flow app, you can quickly create automated test sequences. BenchVue 3.5 also features new apps that support signal generators, universal counters, and Keysight’s FieldFox Series of handheld analyzers. BenchVue 3.5 software is available free of charge. Upgrades to extend BenchVue’s functionality are also available and are priced accordingly. Bosch Sensortec recently announced the launch of the compact BMX160 nine-axis motion sensor, which a great option for small, power-constrained applications ranging from “smart” wearables to virtual reality (VR) devices. 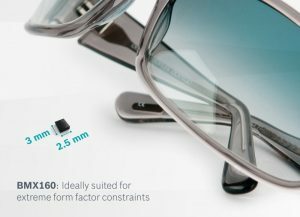 Housed in a compact 2.5 × 3 × 0.95 mm3 package, the sensor combines advanced accelerometer, gyroscope, and geomagnetic sensor technologies. You can use the sensor with the Bosch Sensortec BSX sensor data fusion software library. BMX160 samples are now available for development partners. LSE Technologies recently announced it is enabling secure end-to-end network data transfers for M2M applications and IoT devices with its Lightweight Stream Encryption Technology (LSET) C source code packages. 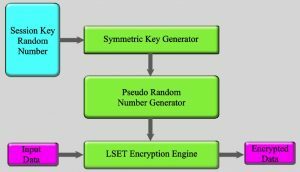 LSET Pro is targeted at 8-bit and low-end 16/32-bit microcontrollers and offers basic encryption algorithm for short control/status messages. LSET ProX is targeted at mid-range 16/32-bit microcontrollers with an enhanced encryption/decryption engine and key security features. It is suitable for short control/status messaging as well as video and firmware updates. 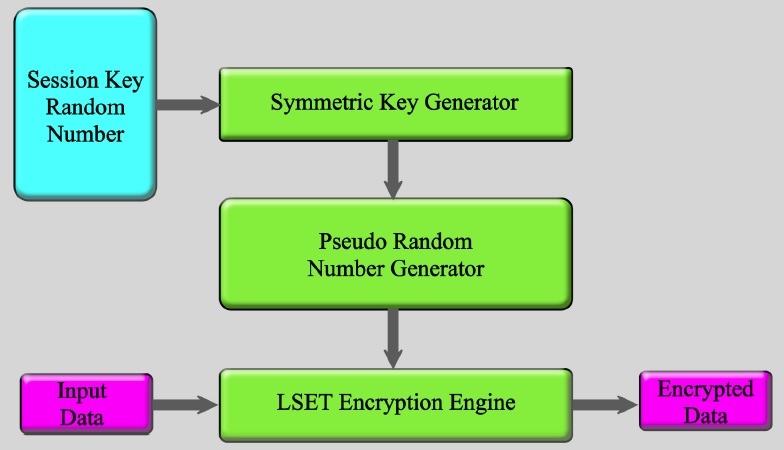 LSET ProXT is targeted at higher end 32-bit microcontrollers and provides a more advanced encryption/decryption engine and additional key security features. It is suitable for longer messages such as in gateway applications as well as for video and firmware updates. On a common 32-bit microcontroller, a typical implementation of the LSET ProX package would require about 600 bytes of code space plus 64 bytes of RAM and with a 20-MHz CPU clock encryption/decryption could be performed in about 2.5 µs per byte. The LSET source code packages were designed to be easily incorporated into existing code bases. In many cases data encryption can be added to a product in just a few hours. The LSET Professional C source code packages start at $500 for the LSET Pro package. 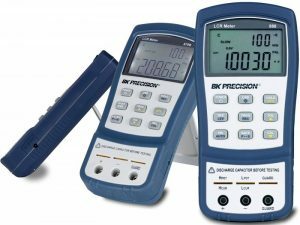 B&K Precision recently announced the availability of a 100-kHz handheld LCR meter that includes features usually found only in bench-top meters. You can use the portable 880 model LCR meter to measure inductance, capacitance, and resistance with 0.1% basic impedance accuracy. Its provides test frequencies up to 100 kHz, selectable test signal levels, and four-terminal measurement capabilities. A dual display with 40,000-count and 10,000-count resolution for primary and secondary measurements, respectively. Standard accessories such as an AC adapter with rechargeable 9-V battery, a mini USB cable, a shorting plate, banana-to-alligator test leads, Kelvin clip test leads, and an additional tweezer tool for measuring SMD components. The 880 LCR meter comes with a three-year warranty and costs $399. The answers to Circuit Cellar’s June 2016 electrical engineering crossword puzzle are now available. The answers to Circuit Cellar’s May 2016 electrical engineering crossword puzzle are now available. The answers to Circuit Cellar’s April 2016 electrical engineering crossword puzzle are now available.